How Long Does Ketamine Stay In Your System, Body, Blood, Urine? Can I Beat an Addiction On My Own? How Long Does Ketamine Stay In Your System? How long does Ketamine stay in the system? Ketamine has a short half-life of around 2.5-4 hours, which means that it takes about 13.45-16.30 hours to eliminate the drug from your system. Although Ketamine shouldn’t stay for more than 24 hours, some users need up to few days to get clean. Factors, such as metabolic rates and age, affect the duration and elimination of the drug. Can I test positive for PCP after Ketamine intake? No. Although Ketamine is an analog of PCP, you can’t get a false positive result. In general, standard tests do not detect Ketamine. Note that some specialized techniques can identify Ketamine (swab test – up to 24 hours, blood tests – up to two weeks, hair tests – up to 90 days, and urine tests – up to four days). Ketamine is a potent analgesic that’s often abused due to its sedative properties. Nevertheless, standard drug tests do not detect Ketamine. When it comes to powerful drugs, it’s important to know more about their duration and elimination. Ketamine half-life is 2.5-4 hours, which means you’ll need 13.45-16.30 hours to eliminate the drug from your plasma. Interestingly enough, children need only around 11 hours to get clean from the drug. In general, most users need between 24 hours and a few days to clean their system from Ketamine. As Ketamine is metabolized by the CYP3A4 isoenzyme within the liver and as this enzyme is regulated by the CYP3A4 gene, it’s interesting to mention that some genetic differences affect the elimination of the drug. Also, we should mention that Ketamine is lipophilic. That means that the drug accumulates in fat stores, which can lead to a lengthy elimination process. Ketamine is metabolized by the liver. 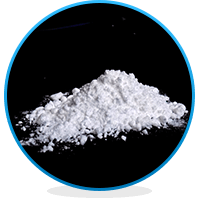 Its primary metabolites are norketamine and dehydronorketamine, which have shorter elimination half-lives than Ketamine. However, note that in patients with brain or spinal cord injury, these half-lives are longer when compared to Ketamine (5.3 for norketamine and 6.9 hours for dehydronorketamine). As mentioned above, Ketamine is subject to hepatic metabolism. The drug undergoes N-demethylation via the CYP3A4 isoenzymes. Then, Norketamine forms the secondary metabolite – dehydronorketamine. 90% is excreted via urine and 3-5% via feces. Note that only 2-4% is unchanged Ketamine, which makes urinalysis not so popular. Although standard tests can’t detect Ketamine, some specialized techniques can find Ketamine in your body. How Long Does Ketamine Stay In Your Blood? Although Ketamine has a short half-life, the drug can be detected in the blood for up to two weeks. However, blood tests for Ketamine are rare: they might be too expensive and time-consuming. How Long Does Ketamine Stay In Your Saliva? Saliva tests are more popular and noninvasive when compared to blood tests. In fact, one can choose from various kits and purchase them online. Ketamine can be detected in your saliva for up to 24 hours. How Long Does Ketamine Stay In Your Hair? Hair tests usually provide a longer window of detection (up to three months). Ketamine can be found in hair samples. The cut-off levels for Ketamine are 0.5 ng/mg and 0.1 ng/mg for norketamine. How Long Does Ketamine Stay In Your Urine? Urine tests can detect Ketamine for up to four days and norketamine for up to two weeks. In fact, researchers claim that norketamine can remain detectable in monkeys for up to 31 days. Note that although Ketamine is an analog of PCP, the drug won’t give you a false positive test on standard drug tests. To be on the safe side, do not mix drugs and take medications only as prescribed. Addiction Resource » Addictive Substances: The Anatomy of Drug Addiction » Ketamine Addiction, its Effects and Treatment » How Long Does Ketamine Stay In Your System? In an obese male can the Ketamine reside in their fat stores for more than 2 weeks and give a +ve urine test? My psychiatrist told me that ketamine would only be detectable in my ur in for 24 hours. You state that it could be detected for up to 4 days. I have an appt with my pain management doctor only 3 days after my ketamine infusion. 120mg. Would I go ahead and keep that appt or postpone it? If you’re receiving a ketamine infusion for depression, I only assume because you stated your psych advised you on detection times, you will be fine. The ketamine will, should, be out of your system but the metabolite norketamine can be detected for up to 7-14 days, depending on the dose/frequency. The reason I say you’ll be fine is you’re receiving an infusion from a qualified medical professional, all you need to do is bring proof to your pain Dr and that would explain the findings in your urine. For example, I take anti anxiety meds and test positive for benzos when I see my pain Dr, I have my prescription on file so he knows I’m not abusing meds. The only thing I would be cautious in is that I’ve read cheaper quality urine tests can give a false positive for pcp as nor ketamine is very closely related, but 96 hrs is a good buffer. The reason I get screened every month instead of every three months is because a year ago I showed positive for MDAA, a common additive in pre workout energy drink. But it metabolizes into the same indicators for bath salts. So, be careful.hopefully this was helpful and sorry it was so late. Speak confidentially with a compassionate counsellor. Speak to a representative concerning substance abuse treatment or request printed material on alcohol or drugs. The information available at AddictionResource.com is not a substitute for professional medical help.